It has been unusually cold here in the Southeast thanks to that drastic climate change. My husband and I are from the south so we aren't use to this type of weather. What seems to make it the worst is that we didn't get any snow at our house so what was the point of all the cold? We love going to Stone Mountain. We love hiking the trails and everything else they have to offer. 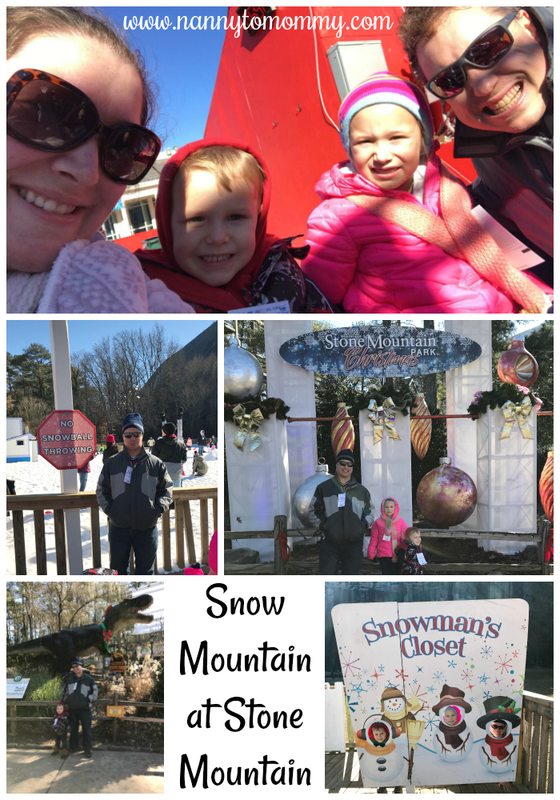 This time of year they have something called Snow Mountain and we wanted to see what it was all about. My husband suggested last week that we take the kids. Our favorite thing to do is create memories with our children. I love giving the gift of experience instead of physical gifts. So we decided to look into buying passes. Their site suggested to buy tickets in advance so we did. 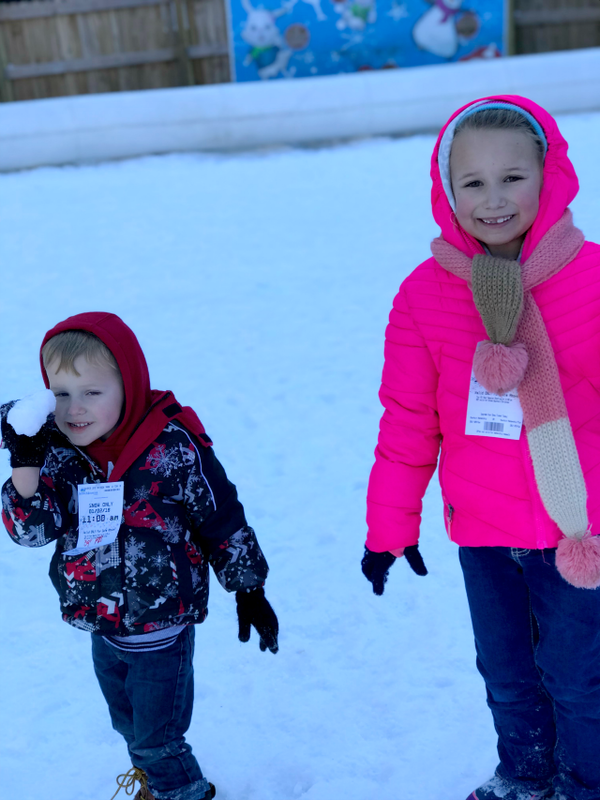 With your pass you were able to get two hours of snow tubing and all day of playing in the snow. There were also options available for food as well as their additional activities, but we were just there for the snow. There were tubes available for single riders (if you were above a certain height), double, and even family. I didn't think to take more pictures or videos of that actual set up. I also wanted to try to get video of us all sliding down, but phones were not allowed to be out while on the tubes. So you can see some video I took. The tubing I did get was available in the "playing in the snow" section and my son who was too short for the single tubes was actually able to do it over there. My husband needs boots. I had my awesome Lugz boots, my daughter had her awesome MLP muck boots, and my son had some duck boots but I have no idea where they came from. My poor husband was just in his running shoes so his feet got cold - fast. We all needed snow gloves, my son wanted to leave very quickly because his hands were freezing after his gloves got wet. I tried to dress everyone in layers as best as I could. I need a water proof jacket, I must have given all of mine away and didn't realized I needed one until I didn't have one! We had a ton of fun, even if we did get a little cold. It was 22 degrees outside the day we went. But going up the hill whether we rode the escalator with our tubes or walked up seemed like it was keeping us warm and as soon we hit the ice, we went sliding down fast. Make sure to follow us on SnapChat and Instagram to keep up with our family traveling adventures! What do you think about making the most out of the weather? 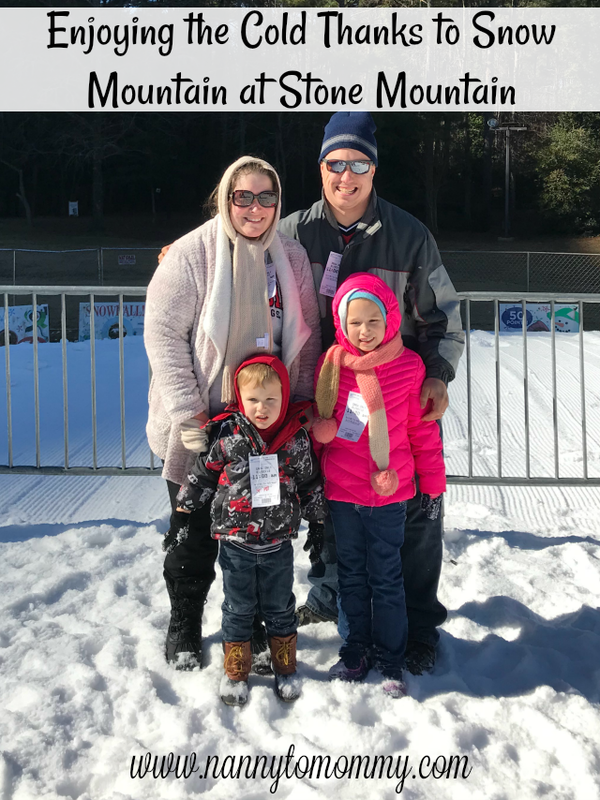 Have you ever been to Stone Mountain? What did you think? It definitely looks like you had such a great time there!! We live in Texas so it doesn't snow often. It would be nice to have a getaway as a family to finally enjoy some! :) Thanks for sharing. Super fun!! I love how they have their own tubing lanes!! No collisions and no having to wait in huge lines!! Yay for enjoying the snow! !